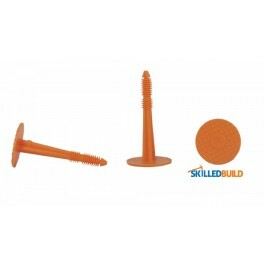 Plug used to fix SkilledBuild Damp Proof Membrane to brick, block or concrete. 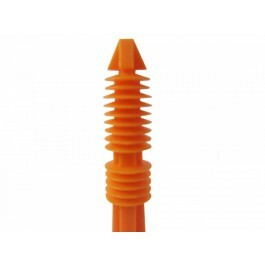 This plug should be used with mesh membranes. 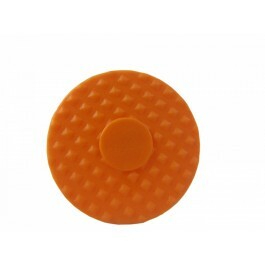 This highly distinctive orange PLASTER PLUG is premium quality and at the forefront of membrane accessory innovation. 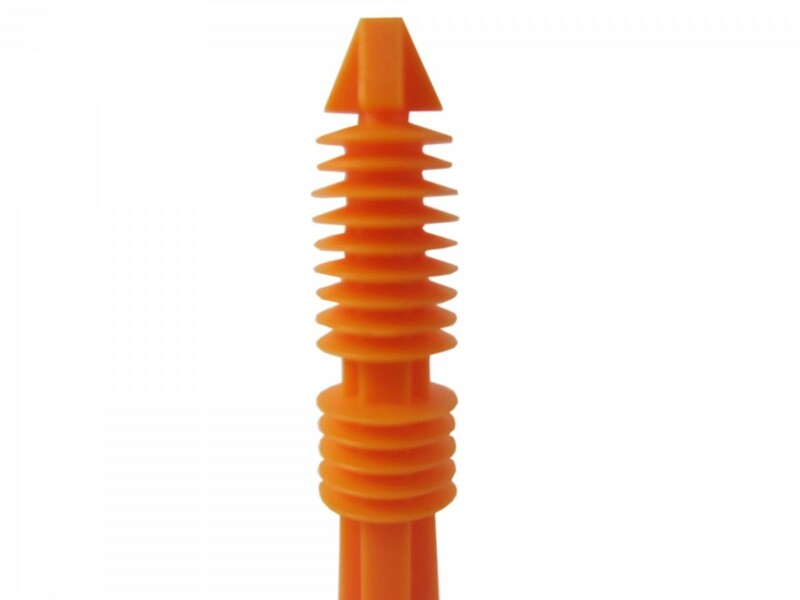 It is a one piece hammer-in fixing, which is manufactured from corrosion resistant polypropylene, and can be used to fix any Damp Proof Membrane to a substrate (brick, block or concrete) either internally or externally. As a rough guide if you are using internally on damp proof membranes you should use 15 plugs per m2, when you use them externally you should use 30 plugs per m2. 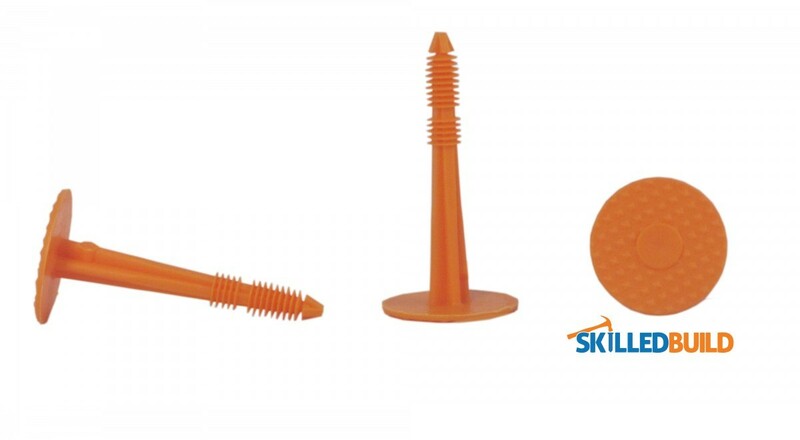 Use an 8mm SDS drill bit and drill through the membrane into the substrate. Hammer the plaster plug in. 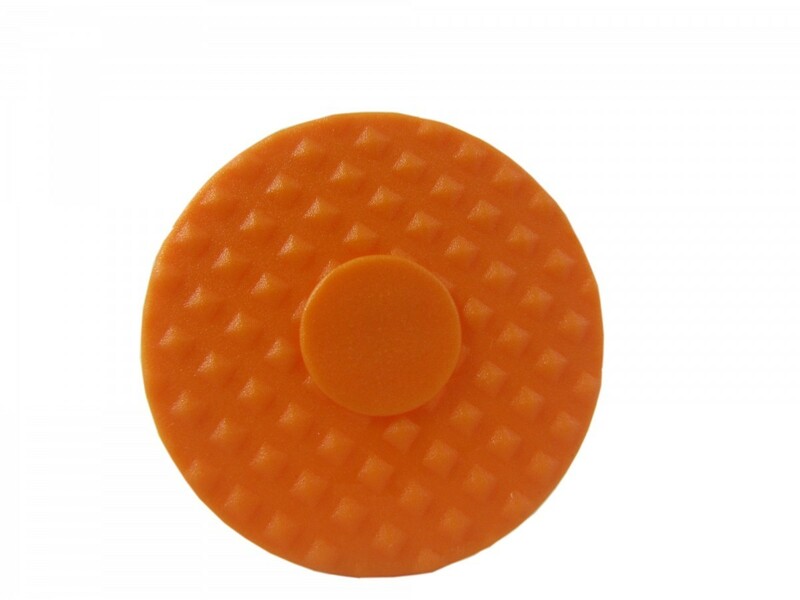 For above ground waterproofing use mastic to seal behind the plugs before hammering. For below ground waterproofing wrap SkilledBuild Membrane Rope around the head before hammering to form a watertight seal.